When the staff told him to go to the restaurant he went to get his (real) car, parked it on the kerb and walked back (you can’t fix stupid) to the drive-thru hatch to make a fuss at which point they refused to serve him anywhere. ‘You'd better move yourself, I am coming in. Even if I've got to ram these doors down, I am coming in.’ That’s the voice of a man desperate for a Macdonald’s. In true media fashion the manager was quoted as describing the situation as ‘carnage’. No, carnage is the destruction of the rain forest. Carnage is factory farming. It’s killing people slowly with sugar. But where does corporate responsibility end and personal responsibility begin? No one’s force feeding us burgers and nuggets. We are doing it to ourselves. I told my great niece that Macdonald’s chicken nuggets are made from giblets and crud. At first Ffion, who’s six and a chicken nugget fan, refused to believe me. More recently she’s accepted that they could be made of giblets but refuses to believe there’s any crud in them. (Crud is the word I gave her for the stuff she has to wash out of her fingernails). ‘Mammy, she’s not right, is she?’ Her voice pleads from the back seat of the car. Her mother doesn’t disagree with me. 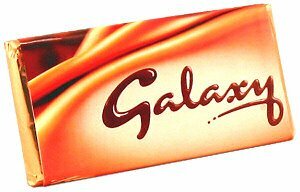 Tony says that when he sees the big bar of Galaxy chocolate on the coffee table he can feel his jaws starting to ache for it, his mouth begin to salivate. ‘I could easily eat the whole thing,’ he says. ‘I have to stop myself.’ When I watch the Macdonald’s TV advert for their breakfast wrap ­– sausage, bacon, egg, potato rosti and cheese lovingly folded into a wheat wrap – I want one. I really want one. (I’m developing a vein of empathy for the Port Talbot drunk.) What can be wrong with it? They use free range eggs, pork sourced from British farms. They have a sustainable seafood strategy and recycle their cooking oil. They campaign against litter and use low energy lamps in their restaurants. They employ 80,000 people in the UK and run an education programme. In the last 20 years they’ve built 14 Ronald Macdonald Houses to provide accommodation for families with children in hospital. The Sunday Times says they’re the best big company to work for. Macdonald’s are starting to sound like the Mother Theresa of the corporate world. Jeez, they’ve even received three awards from the RSPCA. It’s often easier to accept pre-packaged arguments from both the defenders and attackers of any issue than sift through vast amounts of information to find our own truth. But for now I’m sticking with my giblets and crud argument, at least until Macdonald’s start using free range chicken meat. Write about refusing to do what you’re told. Write a fan letter to someone or something. Write about a childhood belief. Write a list of positive attributes/characteristics about someone or something you have doubts about. But Norman, these are bad giblets, very bad giblets. You wouldn't like them at all!